A novel thing, novels about food? Not really, not any more. It seems like every publisher, and every writer, is racing behind the food-as-novel bandwagon, grasping at the flying straws, straining to hop aboard before the cart crashes. Like all fads, trends, what-have-you crazes, some of these novels succeed, while the others appall, so frightfully bad and boring that you can only blush with embarrassment for the proud authors. If you have time to laze about this summer, here’s a very brief list of food-related novels and mysteries sure to keep your appetite whetted. I feel honored to be included in your brilliant and esteemed list. Thanks Cynthia! Right, Wizenberg’s is a non-fiction memoir. The “Winning Hearts and Minds Chocolate Cake” on the last pages of the book is probably the best cake I’ve made this year. I’ve read the “Last Chinese Chef”, loved it. I’ve also read “The Language of Baklava” by Diana Abu-Jaber, but didn’t know she had another book out. 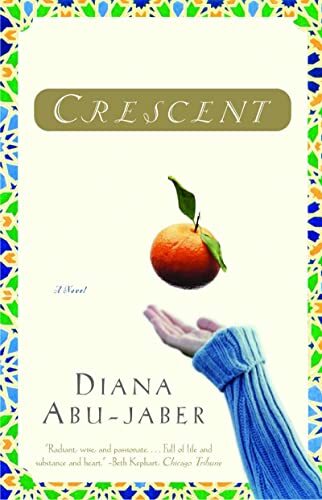 So it’s “Crescent”, by Diana Abu-Jaber and “The School of Essential Ingredients” by Erica Bauermeister. Perfect! Thank you. Great round-up of food-related novels! Camping trip = paperbacks, less weight. Wizenberg’s book is a non-fiction memoir (see memoirs on Gherkins & Tomatoes on 7/15/2010, BTW) — I did not include it in that list, because while it reads smoothly and very well, I just prefer others in the food-memoir group. Enjoy, and let us know what you think of these after you get back, OK? What indeed? Seems like I’m never caught up these days. Great selection, cynthia. Now as for the lazy days of summer…what’s that? I knew I could count on you, Gary, to find something utterly delectable. Sounds right up my alley. Thanks! I’ll check it out. Jacqueline Deval’s “Reckless Appetites: A Culinary Romance” is a neat little epistolary novel, in which each letter is written by a different character.